Borrow a book, video or audio/video from our ever growing selection of our library. Books may be borrowed for 3 weeks at a time. No Late Fee's. But please borrow responsibly. Come in and enjoy our spacious learning library. 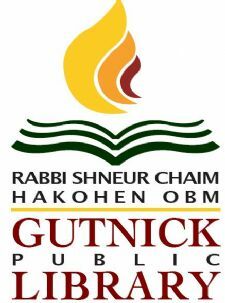 Who was the late Rabbi Gutnick? Be a part of what will largest growing, public, Jewish lending Library in Queens. 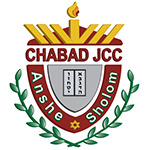 Which will serve the broad spectrum of Jewish scholarship and literature. All contributions are tax deductible and will serve it's purpose well for generations to come, right here in central Queens. You may also donate books to help us build other Jewish Libraries in the Metropolitan Tri State Area. As Rabbi of the Elwood Congregation he was known as the Survivors Rabbi, to his fellow piers he was known as a "Rabbi's Rabbi", to his community he was considered the "People's Rabbi", to his family he was simply known as "Zayda Chaim" and to rest of the world he was known as "Chief Rabbi". Our goal is to create the largest library of it's kind in Central Queens. You donation of books, shelves, furniture and financial contributions will go a long way in serving our ever growing and diverse community. Just Come in to our new Kew Gardens Expanded branch. Or join us at the time of any of our classes and we would be glad to assist you. Since 2007 Chabad in Queens and the GJPL has been working on saving seforim from being thrown out or going to be buried - when they can be recycled.